From whale watching in Alaska to seeing the palaces of St Petersburg, there are some brilliant cruise offers around at the moment. So what are you waiting for? Find your own Bali Ha’i with this special offer Oceania Cruises trip through the South Pacific from Tahiti to Australia. There’s snorkelling and scuba diving, rainforest trekking and exploring small villages when Sirena docks overnight at Papeete on the French Polynesian island before sailing to neighbouring Mo’orea and Bora Bora. It then goes to Samoa, Fiji and New Caledonia before arriving in Australia to take in Brisbane and Sydney’s iconic tourist spots. Departs 16 February for 17 days, from £4,440pp, two sharing, including return flights and $800 onboard credit (0345 505 1920; oceaniacruises.com). After two nights in romantic Paris you can jump on a train down to Dijon for a transfer to one of Avalon Waterways’ luxury river ships and a cruise down the rivers Saône and Rhône. The ship calls at France’s gastronomic capital Lyon, medieval Tournon-sur-Rhône, famous for its wine-making, historic Avignon and Arles, on the tip of Camargue National Park. Book by 28 February to save £1,263 per person. Departs 13 April for 11 days, from £1,436pp, two sharing, including return flights or travel via Eurostar (0800 668 1843; avaloncruises.co.uk). To celebrate its 25th anniversary this year, ultra-luxury cruise company Regent Seven Seas has savings of up to 25 per cent on selected sailings. Its Miami to Miami cruise calls at the Bahamas and Bermuda but also has an overnight stop in elegant Charleston in South Carolina and Jacksonville, Florida, which offers charming museums and gardens. Departs 13 May for 10 nights, from £2,976pp, two sharing, including free transfers (02380 682 280; rssc.com). There’s 45 per cent off and free door-to-door chauffeur transfers on Scenic’s Gems of the Danube cruise from Budapest to Nuremberg when you book before 15 February. During the two days in Vienna, there is a private concert in the city as part of Scenic’s free Enrich events, while complimentary excursions include a guided tour of the impressive Schönbrunn Palace, located just outside Vienna. Regular departures from April to October from £1,645pp, two sharing (0808 252 5448; scenic.co.uk). Save up to £1,500 per couple on all Scenic’s Southeast Asia cruises including its 12-day Luxury Mekong trip through Cambodia and Vietnam. See temples, monasteries and palaces, meet novice monks and tour food markets as well as taking cyclo rides through villages and spending the day in Vietnam’s Ho Chi Minh City to see its French colonial splendour. Book before 10 February for savings and a free two-night stopover in Singapore. Departs 17 August for 12 days, from £3,740pp, two sharing (down from £4,390) including return flights and transfers, free excursions, free gratuities and three nights’ hotel B&B (0808 256 5809; scenic.co.uk). Avalon Waterways’ classic Seine River cruise from Paris includes a guided visit to artist Monet’s inspirational garden and home in Giverny plus tours of Normandy’s pretty villages full of half-timbered houses. But the highlight is an included excursion to the Second World War’s Normandy landing sites. Book by 28 February to save £1,177 per person. Departs 4 April for eight days, from £972pp, two sharing, including return flights from Heathrow or via Eurostar, (0800 668 1843; avaloncruises.co.uk). Viking Ocean Cruises is offering free drinks packages on its selected cruises and its 15-day Viking Homelands cruise from Sweden’s capital Stockholm to Bergen in Norway’s fjords also has up to £500 per person savings. There are overnights in Stockholm and Russia’s St Petersburg and all ports have included excursions, such as the transfer to Berlin for the day and tour of Copenhagen. This Baltic cruise has the added bonus of cruising Norway’s fjords, stopping at Stavanger en route to Bergen. Book before 31 January. Virgin Holidays offers a three nights’ pre-cruise stay in Seattle – a seafront city depicted in many films and TV series for its stunning mountain and sea setting – as part of an Alaska adventure. Flights with Virgin Atlantic on its new direct service between Heathrow and Seattle are included, plus a three-night pre-cruise stay at the Edgewater Hotel (room only), allowing you to explore the culture, outdoors and fun of Seattle, followed by a seven-night Alaska cruise on board Ruby Princess (full board). Departs 3 May for 10 nights, from £1,599pp (0344 739 7992; virginholidayscruises.co.uk). Another 25th anniversary offer from Regent Seven Seas Cruises is its all-inclusive Monte Carlo to Barcelona cruise calling at the Mediterranean’s most inspirational destinations. From Livorno in Italy, there are trips to Florence and Pisa, and from Civitavecchia to Rome. There’s Sorrento for trips to the isle of Capri and France’s Marseille for Provence’s sleepy villages. Fares include free return flights (if available), free unlimited excursions, free unlimited wifi, unlimited free drinks, gratuities and one night in a hotel. Departs 11 June for seven nights, from £2,536pp, two sharing, including transfers (02380 682 280; rssc.com). A round-trip from Amsterdam to the Norwegian fjords comes with Holland America Line’s View & Verandah promotion, which includes free return flights. MS Koningsdam’s seven-night Viking Sagas cruise calls at Flåm, best known for its mountain railway, Stavanger, Kristiansand and Norway’s compact capital Oslo. Book before 28 February for the View & Verandah offer, which includes from $50 onboard credit. Departs 25 June, for seven nights, from £999pp, two sharing, including flights and transfers (0843 374 2300; hollandamerica.co.uk). Sail from New York to the West Indies with an overnight stop in Bermuda on the way as you head for the white-sand beaches and sunshine of the Caribbean islands including Guadeloupe, the British Virgin Islands and US Virgin Islands with Viking Ocean Cruises. The October voyage finishes at San Juan, Puerto Rico. Book by 31 January for £500 per person savings and pre-paid onboard gratuities, plus free return travel from the UK, complimentary wifi, included daily excursions, free drinks with meals and free speciality dining. Departs 13 October for 15 days,from £3,090pp, based on two sharing, (0800 298 9700; vikingcruises.co.uk). Sailing down the River Danube is all the sweeter with AmaWaterways’ £500 per person savings. From Hungary’s capital Budapest to Vilshofen in Germany’s Bavarian Forest, the Melodies of the Danube cruise calls at medieval villages and sails past hillside vineyards as well as staying overnight in Austria’s capital Vienna. Free daily excursions include a Wachau Valley winery visit near Krems as well as walking tours of Linz and Passau. Book by 31 January for savings on departures from March to December. Regular departures for seven nights, from £1,275pp, two sharing (down from £1,775) cruise only, including free excursions, wifi, drinks at meals and bicycles (0800 320 2336; amawaterways.co.uk). Uniworld’s 15-day European Jewels cruise has savings of up to £1,200 per person when booked before 31 January. The Budapest to Amsterdam itinerary along the Danube, Main and Rhine rivers calls at Vienna, Passau, Nuremberg, Frankfurt and Cologne as well as less frequently visited Engelhartszell, Kelheim and Rothenburg. Departs 1 November, for 14 nights, from £3,899pp, two sharing, including flights and transfers, complimentary excursions and drinks plus Titan’s VIP door-to-door service (0800 988 5873; titantravel.co.uk). Spend two full days exploring the Angkor Wat temples at Cambodia’s Siem Reap, with a sunrise visit and the chance to view the UNESCO-listed complex by hot air balloon before joining Scenic’s luxury river ship. You will sail down the Mekong River to Cambodia’s capital Phnom Penh, crossing into Vietnam and sailing down to Cái Bè before transferring to a hotel in Ho Chi Minh City for two days. Book before 10 February for savings and a free two-night stopover in Singapore. Departs 4 August, for 15 days, from £3,895pp, two sharing (down from £5,190) including return flights and transfers, free excursions, free gratuities and seven nights’ hotel B&B (0808 256 5809; scenic.co.uk). 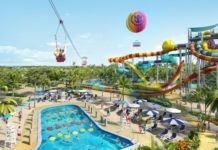 Book a Fantastica Experience package with MSC Cruises for an all-inclusive drinks deal on selected sailings such as its Caribbean cruise in May on MSC Divina. From Miami in Florida, the ship sails to Philipsburg on St Maarten then to San Juan in Puerto Rico before spending time in the Bahamas and returning to Miami. The Fantastica Experience deal includes an upgrade from inside to balcony cabins but has to be booked by 28 February. Departs 13 May, for eight days, from £469pp, two sharing, cruise only (0203 426 3010; msccruises.co.uk). Learn how to make Choux Chantilly cream puffs, hunt for truffles and see how goat’s cheese is made with Viking River Cruises’ Lyon & Provence cruise that includes seven guided tours. The Rhône river cruise in France also offers cruisers a £500 discount per person if booked by 31 January and includes a Culture Curriculum focused on cuisine – ideal for foodies. Departs 15 April for eight days, from £2,345pp, based on two sharing (0800 319 6660; vikingcruises.co.uk). View & Verandah promotion featuring up to $400 onboard credit. Departs 13 May for 12 nights, from £1,399pp, two sharing, including flights and transfers (0843 374 2300; hollandamerica.co.uk). Cruise Nation has a nine-night Alaska cruise deal with £500 per person savings and two free nights’ hotel stay in Vancouver if you book by 4 February. The Inside Passage & Hubbard Glacier cruise is a return trip from Canada’s exciting Pacific coast city on luxurious Celebrity Infinity. You can explore the mighty Hubbard Glacier and visit the isolated cities of Juneau and Ketchikan. Departs 1 September from £1,199pp (down from £1,699), including return flights from London or Manchester (0800 408 0759; cruisenation.com). Titan Travel’s Norway Adventure itinerary with Hurtigruten includes £200 per person savings on the 11-night cruise that takes passengers to a whopping 34 ports of call, including magnificent North Cape by way of Bergen, Tromsø, Ålesund, Hammerfest and Trondheim, with the chance to see extraordinary fjords and spot whales, seals and seabirds. After a free three-night stay in Sydney, the islands of the South Pacific await with the promise of palm-fringed beaches and laid-back lifestyle and calls at Lifou, part of the Loyalty Islands archipelago, Port Vila and Mystery Island in the Vanuatu chain plus New Caledonia islands Mare and Nouméa. The cruise finishes back in Sydney. Book by 28 February for £400 savings per person. 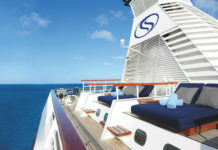 Departs 4 November for 15 nights, from £1,599pp, based on two sharing (0800 408 0761; cruisenation.com). Save from £650 per person and get 250 euros credit per balcony cabin when you book Emerald Waterways’ new eight-day Sensations of Southern France itinerary before 28 February. The cruise will be on Emerald Liberté, to be launched this year, and will feature EmeraldACTIVE excursions such as cycling around Mâcon. It leaves from Arles, calling at Avignon, Tournon and Chalon-sur-Saône, finishing with a day at Lyon. Departs 21 October for eight days, from £1,245pp, two sharing, including return flights (0808 159 6417; emeraldwaterways.co.uk). Get a private view of St Petersburg’s The Hermitage museum, see the famous cascades at Peter the Great’s gardens in the grounds of Peterhof Palace and visit Moscow by night in Viking River Cruises’ popular Waterways of the Tzars cruise. 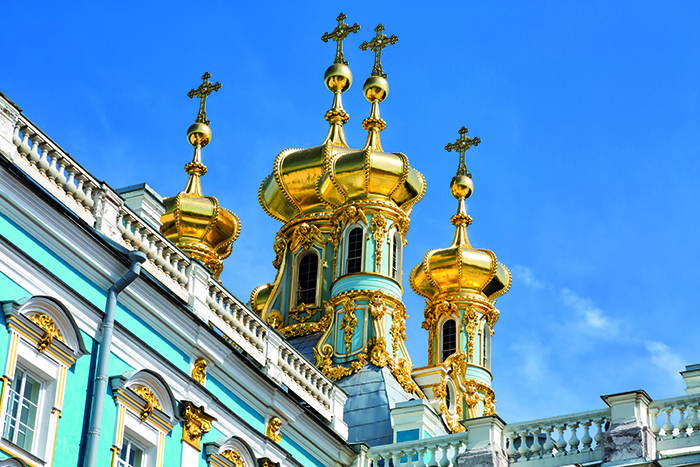 Book by 31 January for £750 per person savings on the cruise, which includes three full days in Moscow and another three in St Petersburg as well as River Volga and Lake Onega stops including Uglich, Yaraslavl and Kizhi. Read part two of the Top 50 Cruises to Book Right Now.